DELA ROSA COR MEDINA STS.. RUSH!!! 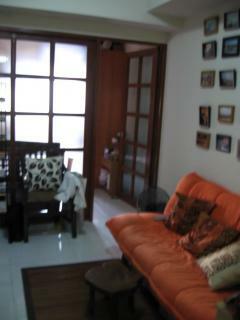 SACRIFICE SALE MAKATI CONDO FURNISHED CASH OR RENT TO OWN! 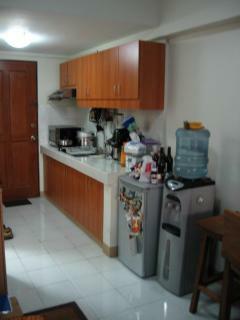 Furnished 1 Bedroom 1 Toilet And Bath 33.63sq Meters Is A Fantastic Address For Your Residence And Business. Located In Dela Rosa St. Corner Medina St. In Makati City, The Tower Offers A Great Location Being Few Steps Away From Shopping Centers, Hotels, Banks, Hospitals, Churches And Major Thoroughfares. Also, Its Proximity To Lrt And Mrt Gives Easy Access To Transportation. Features And Amenities: • A Visitor's Monitoring And Assistance Counter Complete With Building Directory. • A Separate Residential Entrance Is Provided For Privacy. • Three Elevators Will Exclusively Serve The Residential Floors. • Automatic Fire Sprinkler System / Fire Hose Cabinet System / Fire Alarm System. • Common Area Facilities Are Connected To The Standby Power Genset System In Case Of Power Interruption. • Two Fire Exit Stairs Equipped With Pressurization Blowers To Minimize The Smoke Inside The Stairwell. • Public Comfort Rooms For Male And Female At The Ground Floor. • Dual Underground And Elevated Tank System Assures Ample Water Supply For Daily Consumption And Fire Reserve. • Administration Office. • Taxi And Driver's Paging System At The Pre-departure Area. • Parking Levels Are Equipped With Automated 24-hour Scanning Photocell Ramp Signaling System. • Chute And A Central Garbage Storage At The Ground Floor. • Laundromat Space (for Lease). • Drying Area. • Swimming Pool. • Separate Sauna Facilities For Men And Women. • Roofdeck / Viewing Deck / Jogging Deck. • Gymnasium. • Children's Playground. • Function Room (for Lease). • 24-hour Association Security. • Maintenance And Janitorial Services For The Common Facilites By The Association. • Sewage Treatment Plant.